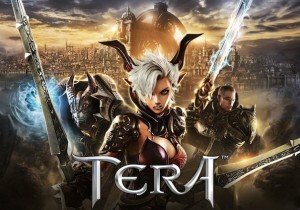 The TERA x Attack on Titan crossover is now live on En Masse Entertainment’s TERA for PC users! Running from today until May 29th, it introduces a variety of cosmetic bundles for outfits, special emotes and other items to purchase from the in-game store. This is the chance for Attack on Titan fans to show off their love of Eren, Levi, Sasha and Mikasa and show off some fantastic cosmetics. Not to mention, this is also the debut of the next content update in TERA, “Gilded Mask”. It introduces a new dungeon, Red Refuge, designed for level 65 players, taking them to the wilds of Feral Valley to rescue a hostage from outcasts on behalf of the Valkyon Federation. But everything is not quite what it seems here, and when the leader of this crew is unmasked, it might be a familiar face. Red Refuge will also be available in Normal/Hard difficulties, with Hard having a chance to drop one of four different Onset Masks for players. It’s also the only way for players to earn items for their “Armor: Mask” slot. Wargaming.net has announced a new series of September events for World of Tanks: Mercenaries, its PS4/Xbox tank MMO. Tales Runner announces new Chaos Genesis chapter on June 1 which introduces numerous new features.